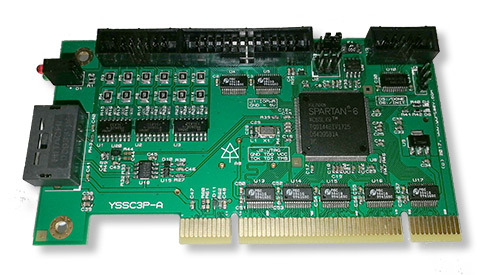 YSSC3P is a PCI interface adapter compatible with Mitsubishi MR-J3/J4 SSCNET III network servo amplifiers. It supports up to 16 connected drives in position or velocity control mode. The card also features general-purpose I/O headers for connecting to limit switches and relays. The software includes LinuxCNC 2.7 driver module and an optional patch for absolute encoder support. SSCNET is a synchronous high-speed network for servo drives and motion controllers. 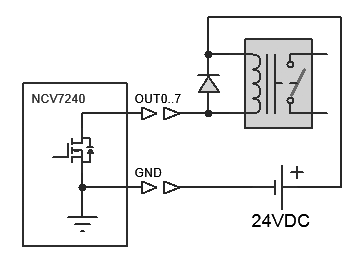 SSCNET only requires a simple daisy chain wiring between servo amplifiers. See Mitsubishi documentation for details. CN3 has 8 open-drain outputs from NCV7240 IC. Each output is rated to 600mA/36V max.